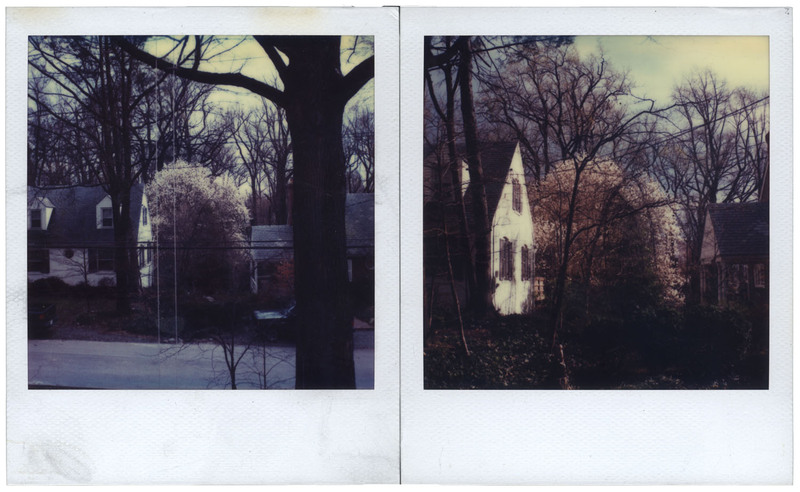 As daffodils flooded the front yard, forsythia glowed, and the star magnolia exploded white across the street, I sat at my window dazed. We had just put our cat to sleep. Cancer took him; far too young. The day’s beauty heightened the sadness. April is the cruelest month. I gazed into the star magnolia and suddenly I realized my loss would always be tied to this flowering. Nothing new about this kind of association. A year after Lincoln died, Walt Whitman remembered his hero in a poem, When Lilacs Last in the Door-yard Bloom’d. Likewise for me, the significance of blossoms had changed. Looking down at my worktable, I saw my tiny drawing, Self-Portrait with Blossoming Star Magnolia; one of my problem children; a drawing that I had been working on for years. I’ve been trotting it out for the few weeks of peak blossoms and then putting it away, always dissatisfied; perennially hopeful for a recovery during next year’s session. I’ve worked and reworked the tiny sheet; erased it, scrubbed the paper with large flat, synthetic bristle brushes pulling out the watercolor (see images below). I’ve redrawn and repainted, and then scrubbed and erased again. I’m not sure what is so hard about this piece. Perhaps it is finding the right twilight atmosphere. Perhaps it is coaxing nuances of color that don’t overpower. Perhaps it is the composition. During the current session, I removed two subjects from the foreground of the drawing: a postcard and a dried orange. Scrubbed them away, and replaced them with an image of one of my own larger drawings; another of my trouble children: Night with Orion. This felt better. The new shape punctured the window’s rectangle and pulled the grid of panes into the border. I liked the minimal articulation of the depicted drawing; I used watercolor to mimic the graphite of the original. This new gray panel or wall seemed right. I also liked the idea of inserting a troubled drawing into another troubled drawing; trouble mirroring trouble. And through the window, the depiction of the star magnolia now represented trouble on another plane for me. These kinds of personal associations drive my drawing, but the viewer doesn’t need to know the connections to appreciate the work. I believe if I respond to my intuition and feelings, work intensely, and stay honest, there’s a good chance something will be there for an audience. The drawing, I feel, is complete now; consummated in meditation and loss. 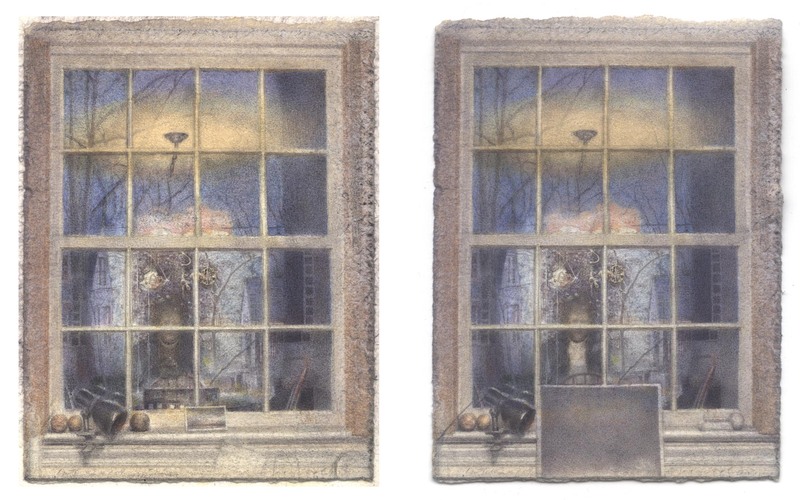 In one of my favorite short stories A Haunted House by Virginia Woolf, a couple re-lives through remembrances found in the various settings of a house; personal reflections lead them to their treasure and essence. (above left) Charles Ritchie, Self-Portrait with Blossoming Star Magnolia (work in progress) 7 February 2008. (above right) Self-Portrait with Blossoming Star Magnolia (work completed) 10 April 2008.